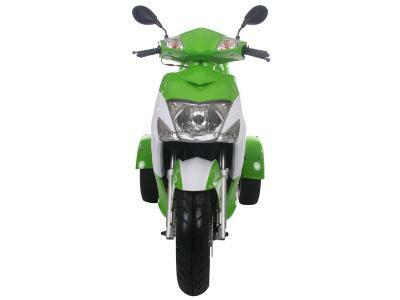 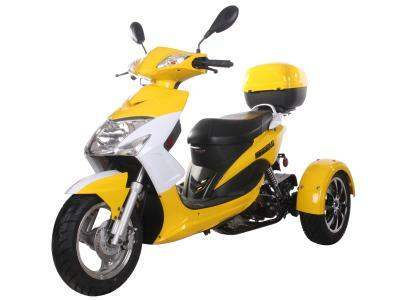 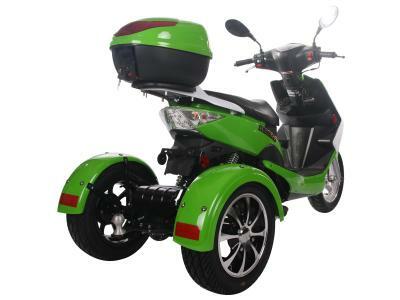 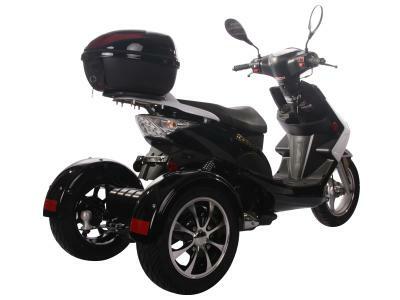 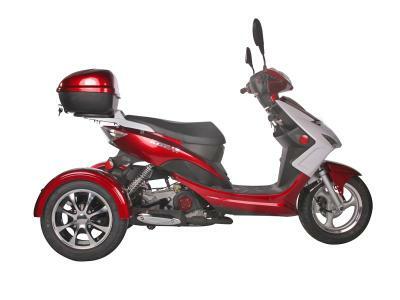 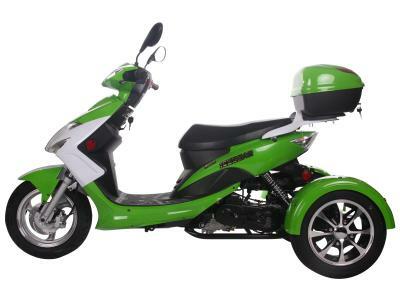 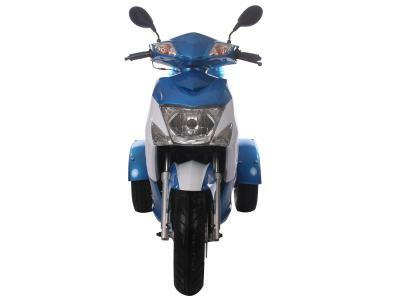 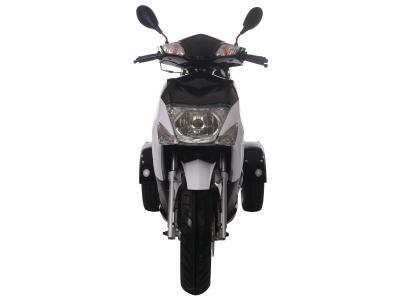 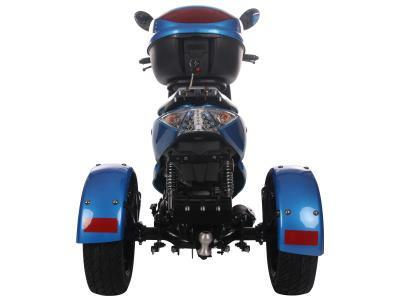 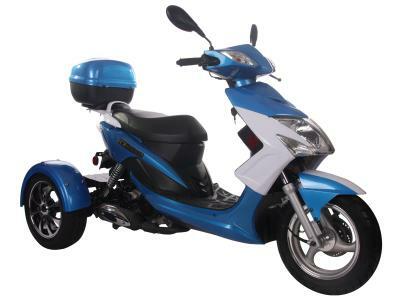 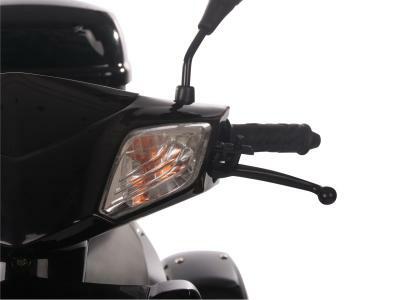 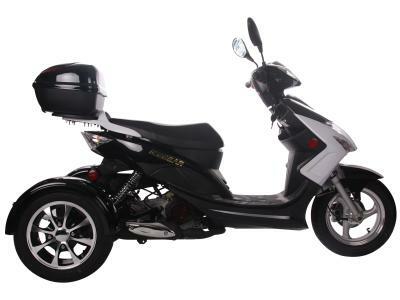 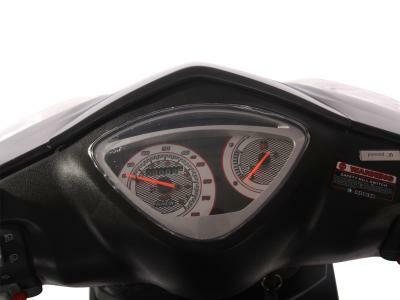 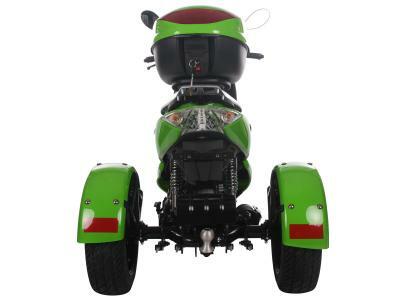 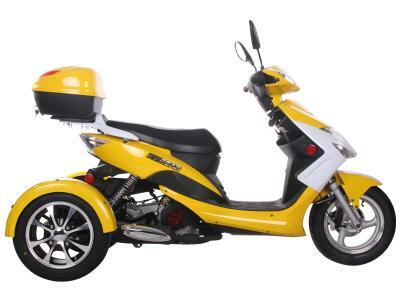 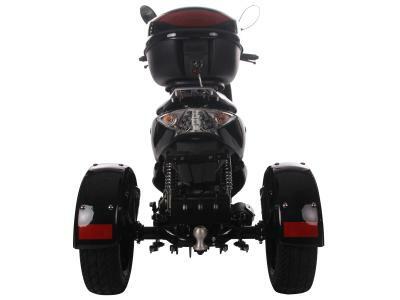 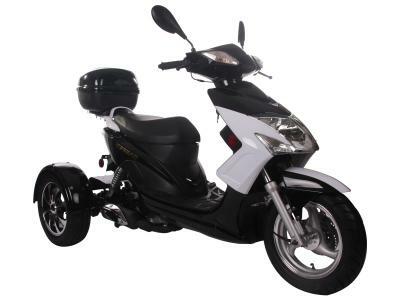 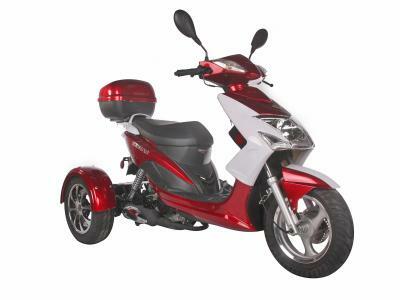 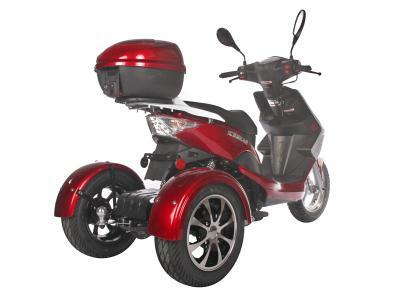 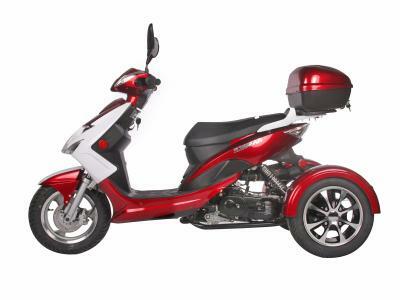 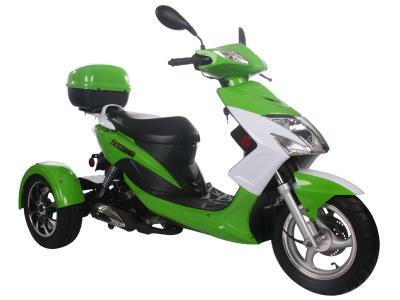 Shop for TRI016 50cc Trike - Lowest Price, Great Customer Support, Free PDI, Safe and Trusted. 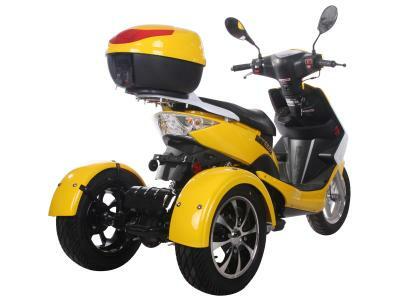 50cc Trike, Automatic Transmission, Front/Rear Disc Brake, Electric/Kick Start. 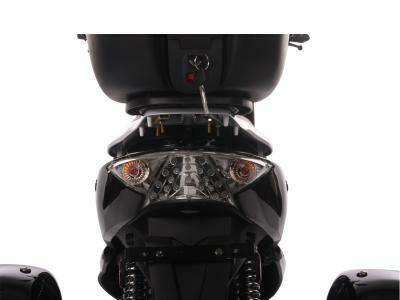 This model is CA Legal. 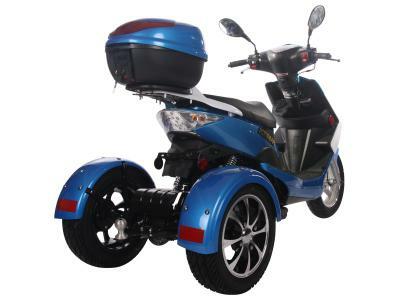 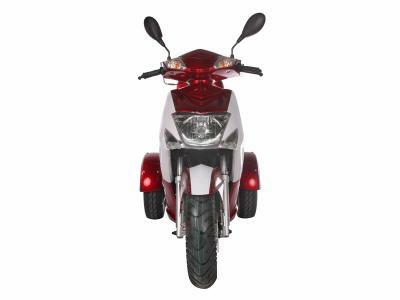 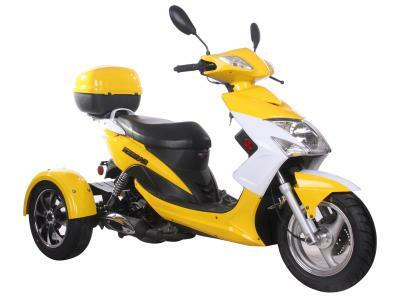 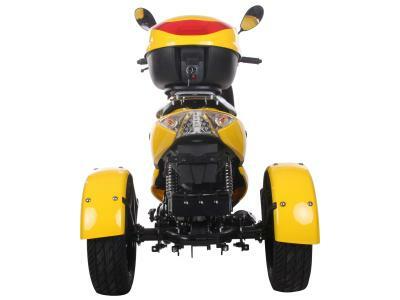 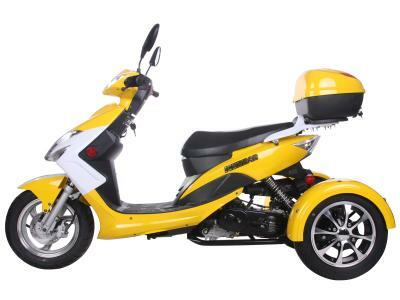 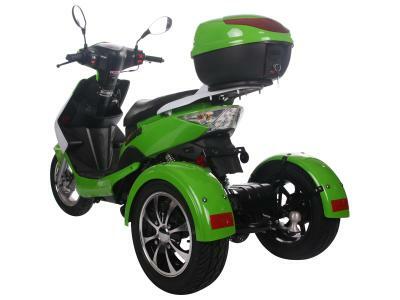 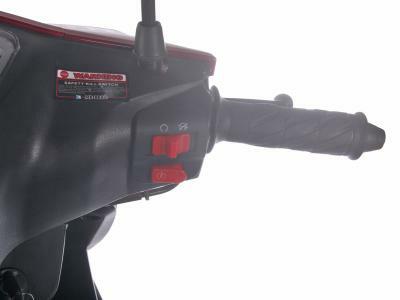 Our 50cc trike is designed with safety and performance in mind, our 50cc Trike offers modern styling in a two-tone color design that will catch other's attention. 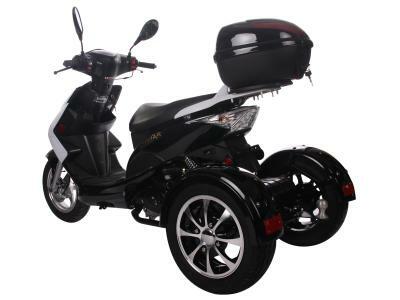 Operating this beautiful machine is easy with a fully automatic transmission, the starter is electric which means quick, easy, and reliable starts every time. 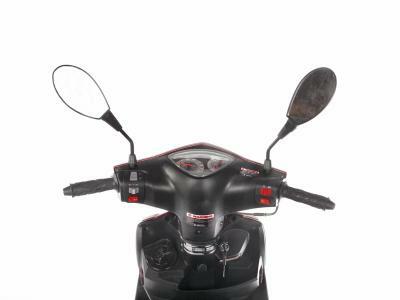 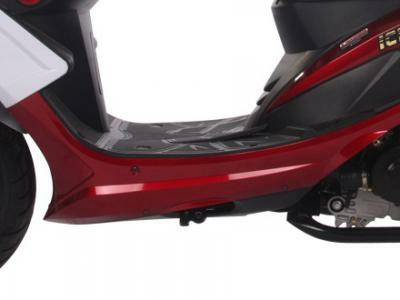 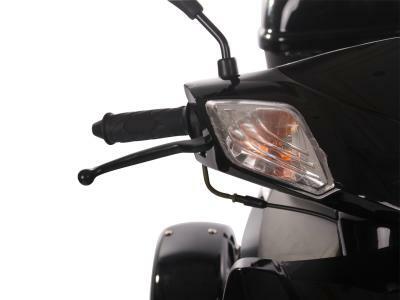 Other features include: bright halogen lights for clear night riding, front and rear disc brake will provide you with a strong stopping power while allowing for smooth breaking, durable padded seating and skid resistant floorboard make for a comfortable and enjoyable ride. 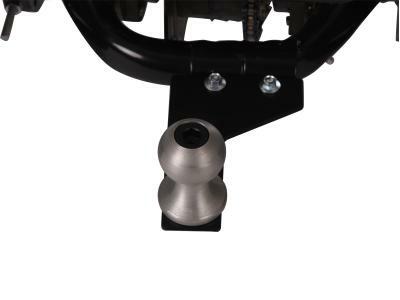 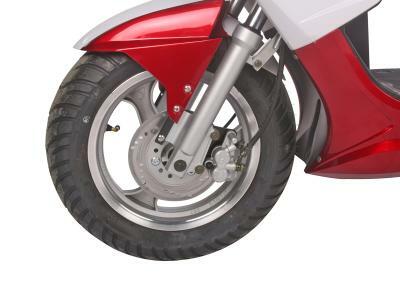 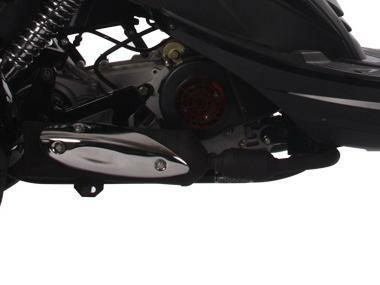 Powerful and durable front disc provides excellent braking at any speed, giving you the safety you need. 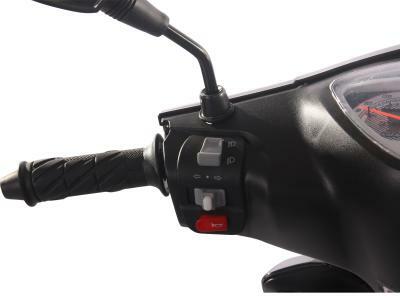 Keeps engine temperatures reliably under control, even while idling at stoplights--for maximum efficiency and longer engine life. 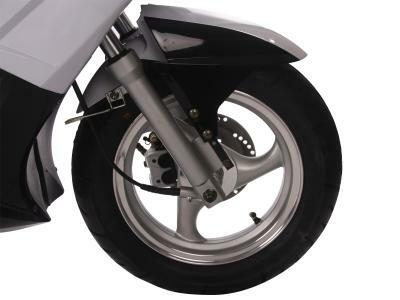 Resistant material will allow you rest on your foot , which can also withstand the constant wear and tear of everyday use. 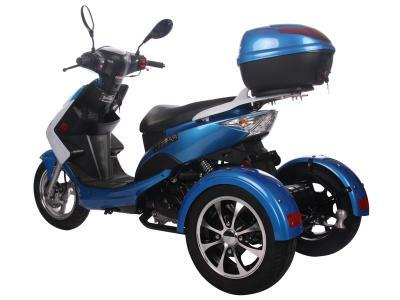 The shipping charge is very clear , the customer service is nice ,and i hope to get my trike soon. 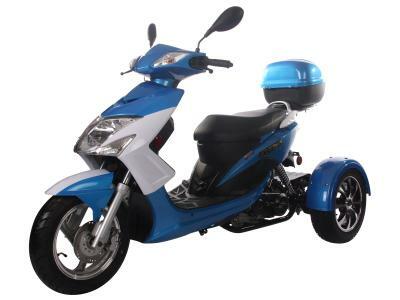 smaller size for citizen daily family use, light blue painting left myself an impressive effect, for more, the controlling is very nice, the handle feels cool! 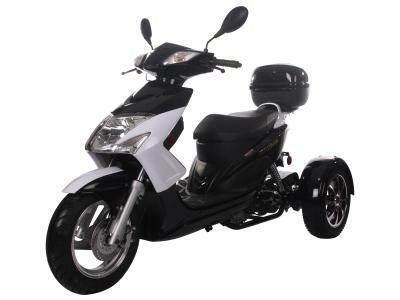 I have brought a TRI016 and it runs fine has a lot of get up and go boots around the city nicely and i did get it at a better price than the more well known bikes. 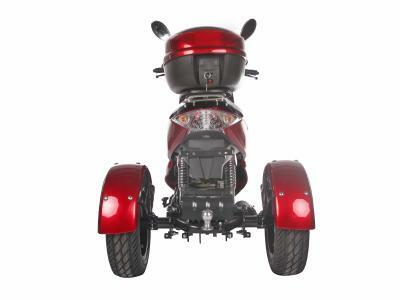 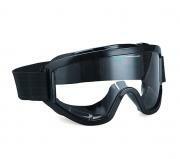 This is a great store and very easy to order from. 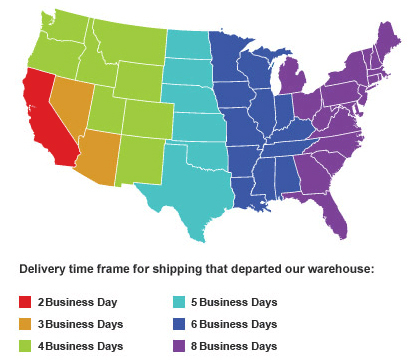 They have been 100% with everything I have purchased. 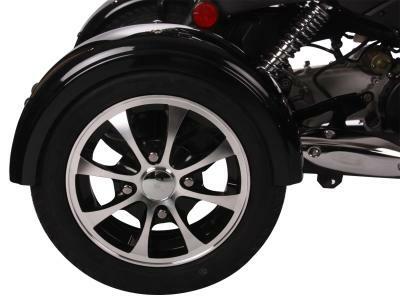 What is more stable on the road the trike or the reverse trike? 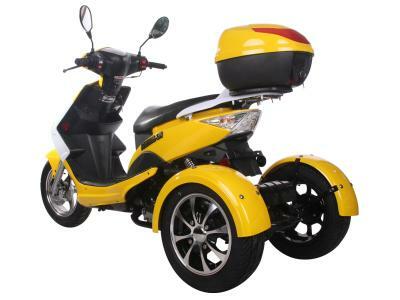 Comparing a Trike vs. 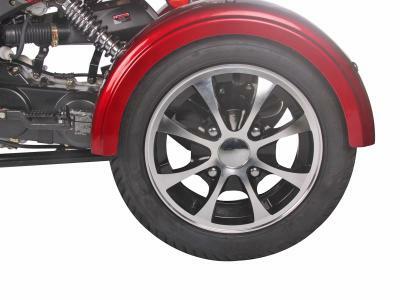 Reverse Trike is just personal opinion and not a comparison of handling or drivability. 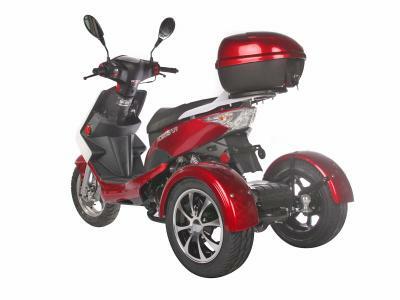 What is the cost to have it complety assembled and shipped? 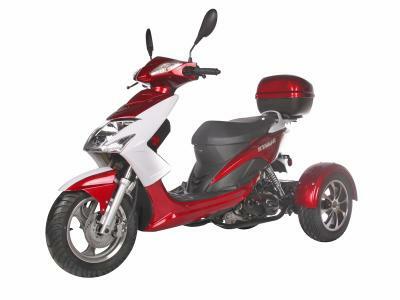 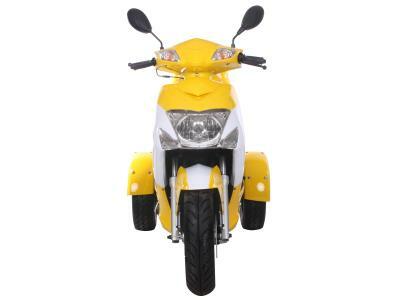 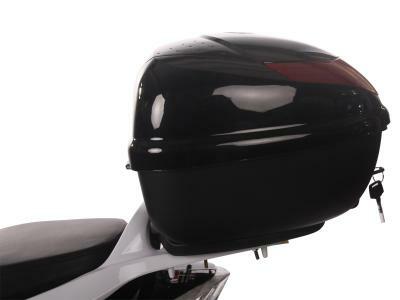 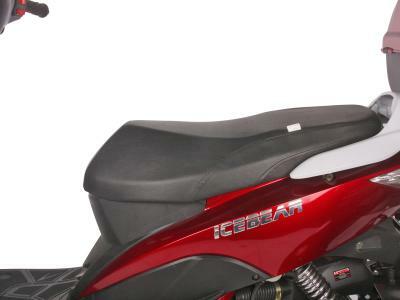 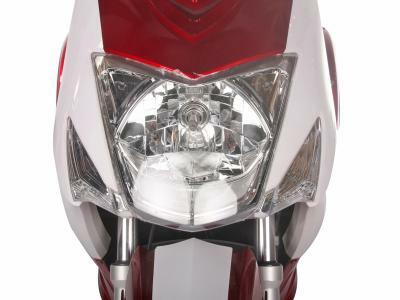 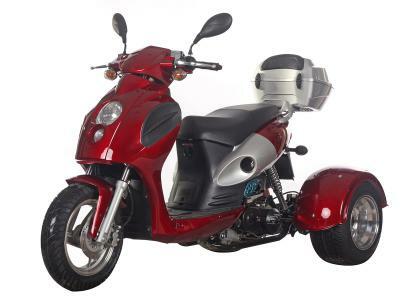 to assemble for a 50cc it would be 175. as for shipping it would just depend on your location.